The Best Handicraft blogs from thousands of top Handicraft blogs in our index using search and social metrics. Data will be refreshed once a week. 2.9 Positively Splendid | Handcrafted. Splendidly. Handicraft newsletter is a comprehensive summary of the day's most important blog posts and news articles from the best Handicraft websites on the web, and delivered to your email inbox each morning. To subscribe, simply provide us with your email address. About Blog DIY crafts and handmade gift ideas for Halloween, Christmas, Thanksgiving and Christmas including kids crafts, projects, inspirations, news and events, giveaways, product and book reviews. DIY craft news, reviews & ideas. Sewing to Knitting to Crochet. Even Edible Crafts & Polymer Clay! Facebook fans 407,284. Twitter followers 49,447. About Blog Lia Griffith is a designer, maker and handcrafted lifestyle expert who began blogging to share her unique paper flower designs and diy projects. Lia inspires millions worldwide to reconnect with their creativity through daily DIY projects, tutorials and videos. Facebook fans 47,541. Twitter followers 3,095. About Blog Learn how to turn your handmade hobby into a thriving business - from those who've already done it! Facebook fans 7,516. Twitter followers n/a. San Francisco, CA About Blog Anything made by hand. Anything made by hand can be submitted here. Art, furniture, signs, etc. Facebook fans 1,161,071. Twitter followers 518,820. About Blog The blog dedicated to all things crafty business! Facebook fans 3,794. Twitter followers 678. About Blog Amanda is known for making something out of nothing using all sorts of reclaimed and recycled items, most times from things you can find around your home. Facebook fans 1,417,617. Twitter followers n/a. Facebook fans 25,210. Twitter followers 183. Oregon About Blog Dollar Store Crafts is a daily blog devoted to hip crafts using dollar store stuff. DollarStoreCrafts.com is a crafting blog with an emphasis on projects that are cheap, chic, and easy to do. Most of the materials in our projects can be purchased at your local dollar store. Facebook fans 334,561. Twitter followers 13,803. 9. Positively Splendid | Handcrafted. Splendidly. Austin, Texas About Blog Positively Splendid is dedicated to a creative lifestyle, where heart and soul are poured into projects in a way that enables you to master new creative skills to enrich your life. On any given day here at Positively Splendid, you can learn to decorate your home, to prepare a lovely meal to impress your family, or to a make a handmade gift to bless a special friend. Facebook fans n/a. Twitter followers 5,884. Seattle, WA About Blog Wise Craft Handmade is a blog about patchwork quilts, inspiration, crafting, making, recycling, creatively reusing, and all kinds of handmade things. Facebook fans 2,857. Twitter followers 1,133. About Blog Hand­made Char­lotte offers a daily dose of DIY crafts, parties, recipes, and inspir­ing interiors to help fam­i­lies cre­ate unfor­get­table moments. Facebook fans 105,027. Twitter followers 13,478. About Blog Explore the amazing world of art and crafts through our stories.Get to know the detailed information/facts/trivia about your favorite art forms collected from the Indian heartland. Inspire and get inspired by antique handicraft works by the creative artisans. Canada & USA About Blog The blog about how to make money selling handmade crafts. Facebook fans 4,395. Twitter followers 3,617. About Blog Borderline is a café, fair-trade handicraft shop and art gallery based in Mae Sot, Thailand, supporting Burmese migrants and refugees on the Thai-Myanmar border. Facebook fans 1,421. Twitter followers n/a. Belfast, UK About Blog Heart Handmade UK Blog is an extensive resource for diy projects, interior styling, art journalling, online art classes, sewing, crochet and inspirational loveliness. This blog is jam packed with Craft Tutorials and Blogging Advice. I have a serious addiction to stationery and vintage fabrics. Facebook fans 47,494. Twitter followers 5,200. LA, CA About Blog I started Thirty Handmade Days in 2007 because craft posts took over my family blog. It was originally my to-do list with round-up posts. It has evolved to posting my own ideas and tutorials. I love creating printables, cooking good food and thinking up out of the box gift ideas. Facebook fans 868,604. Twitter followers 6,820. California About Blog Our blog is where we share DIY craft projects, tips on creative entrepreneurship, recipes, our adventures and inspiration to make every single day awesome! Facebook fans n/a. Twitter followers 4,758. Grand Rapids, MI About Blog CraftSanity is magazine, podcast, and blog about all things handmade. Facebook fans 2,387. Twitter followers 4,688. About Blog Embroidery Crochet Knitting Handicraft blog. Facebook fans 420,548. Twitter followers 1,770. About Blog Traditional Indian handicrafts and the cultures behind them, directly from the very home of the artisan. Learn and support Indian Handicrafts Heritage. Facebook fans 63,145. Twitter followers n/a. About Blog Handmadeology teaches the science behind selling handmade goods online. Facebook fans 276,102. Twitter followers 43,523. Seattle, WA About Blog Hi, I'm Megan. I live in Seattle with Scott. I make stuff and give you tutorials on how to make it too. I also keep a blog of what I'm up to and links to good stuff from all over. Facebook fans n/a. Twitter followers 10,775. About Blog Hey June Handmade designs modern, wearable sewing patterns for women and children. Facebook fans 3,316. Twitter followers 47. Indiana About Blog Craft Buds is a collaboration between Lindsay Conner (Lindsay Sews) and Mary Jaracz (Bugglebee). We hope to share our experiences and inspire you in your handmade endeavors, both creative and business related. If you’re here to find craft tutorials, blogging tips or fresh ideas for promoting and running your handmade business, you’ve come to the right place! Facebook fans 41,957. Twitter followers 880. About Blog The Handmade Artists' Shop is devoted to supporting handmade and bringing the finest handmade products. Indianapolis, IN About Blog Hello! I'm Nicole. This blog is where I share sewing tips, free tutorials, inspiration and news about Modern Handcraft quilting patterns. Facebook fans 2,540. Twitter followers 447. About Blog Crème de la Craft is an L.A.-based craft party company creating custom craft experiences for any event including birthdays, kids parties & corporate events. Facebook fans 12,817. Twitter followers 1,531. Perth, Western Australia About Blog Thoughts on sewing, knitting, and looking my best. live in Perth, Western Australia, and I make all my own clothes. Sometimes I make things for unsuspecting family members too. Facebook fans n/a. Twitter followers 21. Central Wisconsin About Blog Handmade Business magazine is a monthly business publication for the handmade professional. Facebook fans 11,782. Twitter followers 5,857. Arizona About Blog American Felt and Craft shares hundreds of DIY free felt tutorials, tips and projects all in easy to understand full color photos. Facebook fans 6,039. Twitter followers 373. About Blog I am a self-taught sewist, quilter, and pattern designer, as well as an occasional screen printer. I made many quilts, pillows, bags, and pouches over the years and I greatly enjoy sharing my creative journey here on my blog. About Blog Welcome! The Craft Sessions aims to bring together people who craft for joy. We are all about fostering a love of hand making and discussing the ways traditional domestic handcrafts have meaning and context in our everyday lives. Facebook fans 3,027. Twitter followers 188. About Blog Helen Stewart is the creator of Curious Handmade, a knitwear brand and podcast that bring together her love of craft, travel stories, life lessons and community. Curious Handmade knitting patterns are for hand knitters who have mastered the basic skills and now are looking to create something beautiful and unique. About Blog The Premier marketplace for handmade-only artisan goods in Boulder & the front page. Facebook fans 5,357. Twitter followers 1,318. Facebook fans 134,099. Twitter followers 511. New Delhi,India About Blog A tale of Handicrafts. Join me on the journey! Facebook fans 2,349. Twitter followers 161. Dorset | 01258 269173 About Blog A little-personalized homewares company based in Dorset. In this blog and my Youtube channel. I love writing about all things handmade, sharing my makes and writing DIY projects. I am also a regular contributor to Crafts Beautiful Magazine. Canton, Texas About Blog We make unique and handmade Christian Gifts and Home Decor. David Broussard makes Wall Crosses and jewelry out of steel and paints them with blow torch. We sell hand-poured candles that offer. Everything is HandMade in Canton, TX. Facebook fans 9,356. Twitter followers n/a. Pittsburgh, PA About Blog Handmade Arcade produces an award-winning, one-of-kind marketplace where innovative craft-based artists and designers will sell, share and promote handmade, locally produced goods. Facebook fans 9,781. Twitter followers 5,336. About Blog A handicraft, sometimes more precisely expressed as artisanal handicraft or handmade, is any of a wide variety of types of work where useful and decorative objects are made completely by hand or by using only simple tools. Facebook fans 191. Twitter followers n/a. singapore About Blog A blog about handmade crafts, especially crocheted toys (amigurumi). Free crochet patterns available. Facebook fans 1,527. Twitter followers 71. About Blog Selling crafts and handmade gifts and how to sell craft authored by Terri Belford. Facebook fans n/a. Twitter followers 2,123. About Blog Our Aim is to provide All Types of Antic Style Item's God Idols, Exclusive Zulachain, Utensils & Gift Articles at the reasonable rate. Although our shop is the unique shop in Ahmedabad where you will get all things as per your requirement. Facebook fans 221. Twitter followers n/a. Bengaluru, India About Blog This blog is about arts and crafts. Contains details about all the crafts of India. Also includes saree designing and about different kinds of hobbies. Facebook fans 18,716. Twitter followers 248. About Blog Half Mile Handmade offers a curated selection of quality, hand-crafted goods from artisans near and far. Facebook fans 2,230. Twitter followers n/a. Chennai, India About Blog The blog about decorated marapachi dolls, plastic dolls with customisations, Paper jewelry, Silk thread jewelry and Jute jewelry. About Blog My name is Gayatri Murali.I live with my husband, two children and a cute dog in Perth, Australia! I am a paper crafter. I have been paper crafting for more than 12 years. I started with scrapbooking, then jumped to the Stampin’ Up! demo wagon and then discovered a whole new world of clear stamps. India About Blog Character animator, having interests in fine art, handicrafts, photography, and Biotechnology. Kolkata, West Bengal, India About Blog Indian handicrafts are for eternity rich in multiplicity owing to immense diversity in the cultural set-up of Indian society. The handicraft created in far-flung regions of India are distinctive and possess great historical ethnicity and creativity. Lucknow, India About Blog Indian Handicrafts are famous worldwide for their creativity & traditional value. Best handicraft blog of India to support local Artisans & their creativity. Facebook fans 21,087. Twitter followers 1,286. @MassAveIndy About Blog Handmade is a boutique, gallery and workshop devoted to contemporary handmade goods. We are located on the east end of Mass Ave in downtown Indianapolis, IN. We sell the work of more than 300 artists, crafters and makers from across the U.S. and Canada. Facebook fans 10,061. Twitter followers 5,108. About Blog Handmade Loves is a space for creative entrepreneurs to expand through balancing personal and business development. Facebook fans 3,239. Twitter followers n/a. Ahmedabad About Blog I am here to offer you a hundred percent handcrafted experience. I’ll help you move into a handmade home. Come, explore!. Facebook fans 5,203. Twitter followers 73. Facebook fans 1,226. Twitter followers 579. Facebook fans 2,156. Twitter followers 17. About Blog Hunting Handmade - Sharing & Supporting Etsy Sellers, Handmade Heroes & anyone who has the courage to turn their passion into a livelihood. Facebook fans 3,833. Twitter followers n/a. London About Blog Hi, I'm Jane and I make my own clothes. My love affair with sewing began in 2009 when I took a beginners dressmaking course and made my first A-line skirt. I was hooked from the very first class and have been gradually adding to my handmade wardrobe ever since, sewing clothes to suit my body shape and my own personal style. Facebook fans 983. Twitter followers 1,841. About Blog Sharing sewing, crochet and home cooked inspiration! Facebook fans 4,670. Twitter followers n/a. 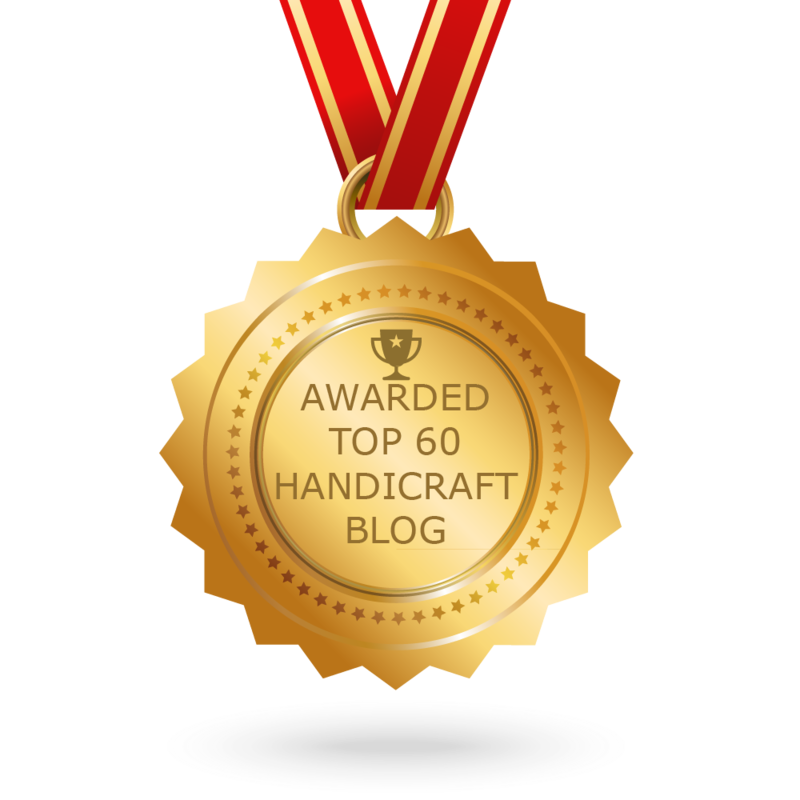 CONGRATULATIONS to every blogger that has made this Top Handicraft Blogs list! This is the most comprehensive list of best Handicraft blogs on the internet and I’m honoured to have you as part of this! I personally give you a high-five and want to thank you for your contribution to this world.